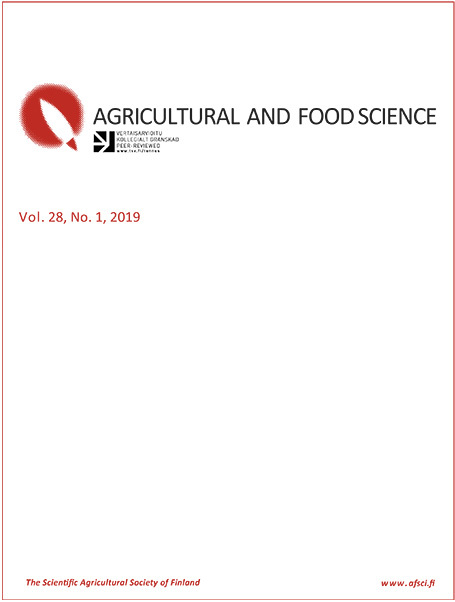 Agricultural and Food Science (AFSci) publishes original research reports on agriculture and food research in relation to primary production in boreal agriculture. Acceptable papers must be of international interest and have a northern dimension. The fields within the scope of the AFSci include agricultural economics, agricultural engineering, animal science, environmental science, horticulture, plant and soil science and primary production-related food science. Papers covering both basic and applied research are welcome. Registered readers receive a notification with the publication of each issue. AFSci is published by the Scientific Agricultural Society of Finland.